Earn $2.32 in VIP credit (232 points)What's This? 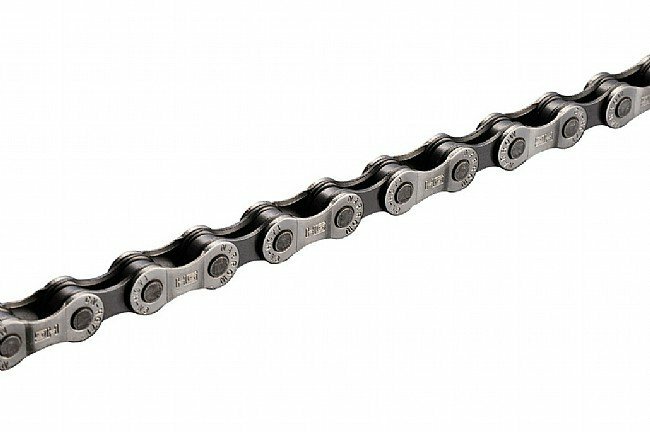 Shimano's CN-HG71 Chain is designed for 6/7/8-speed drivetrains and features durable, heat-treated steel links and corrosion-resistant chromized pins. Created to work with Shimano's Hyperglide cassettes, the inner plates are chamfered to enhance shifting performance. Claimed weight is 324 g. 116 links. It's a chain...it works. Watch out for the pin though! I bought this to replace the chain on my wife's bike. BTD's price was excellent so 5 stars for value! The chain works great once installed, however the break-off pin that Shimano supplies has a tendency to break off while you're installing it. On this chain as well as others I have bought. Order spares so you don't end up like I did, with my wife mad at me because we were supposed meeting her brother for a ride! Even better Order some KMC Kwik Links and keep some spares in your saddle bag in case you break a chain on a ride!